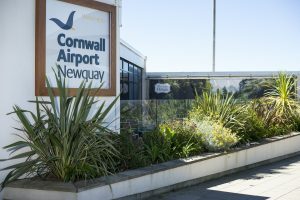 We can help to arrange transfers to and from Newquay airport whenever you need it. There are many companies that can provide this service and it’s hard to know who is the most reliable, trustworthy service. The last thing anybody needs is to miss their flight due to no-show on your arranged pick-up time. Don’t leave it to chance and risk being stranded at the airport, waiting for an unreliable service. A car will be there waiting for you when you land, no matter the weather. Flight delayed? No problem, we check flight times and proactively monitor for any delays. Fully licensed cars with VIP options available. Standard and luxury VIP cars are available to wherever you need to go in Cornwall. The drivers we use know the area like the back of their hands, so you can be sure to get your destination in the most efficient, most comfortable and best value manner. You’ll get a highly competitive quote and your choice of car to ensure you are provided the best service for your trip to Cornwall via Newquay’s airport. The airport is growing in popularity as each year goes by, with more and more flights to more and more destinations.